You know how with some artists you just love their work the first time you see it; recognizing that there is something genuine and authentic in it which places it above the work of others? Something which goes directly to your gut, bypassing the analytical brain cells. Well for me that’s Sid Howard. Sid Howard sitting amongst his creations singing “Pretty Robin Redbreast” is such a treat in itself, and then he goes on to talk about getting started. This would be about 1945. We are lucky that the film makers got this on film. He died shortly after. 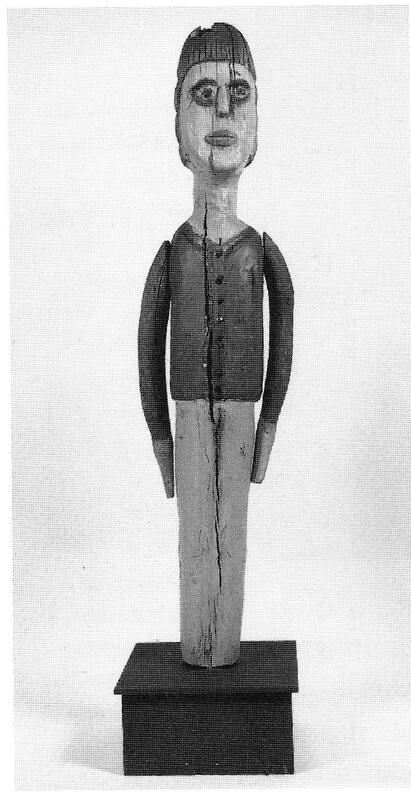 An early Sid Howard full-sized figure. 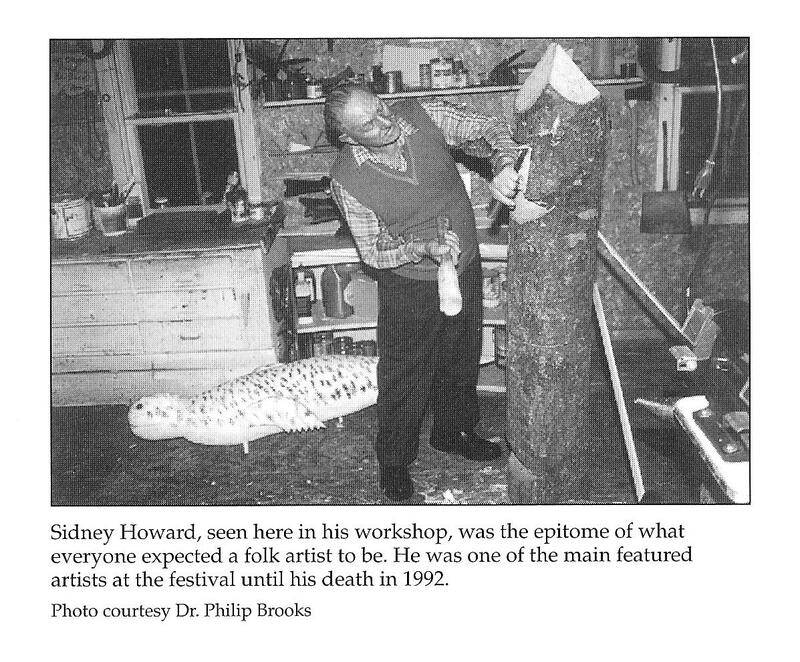 I have bought and sold Sid Howard works occasionally over the last thirty years, but as I was buying largely in Quebec I did not encounter them very often. 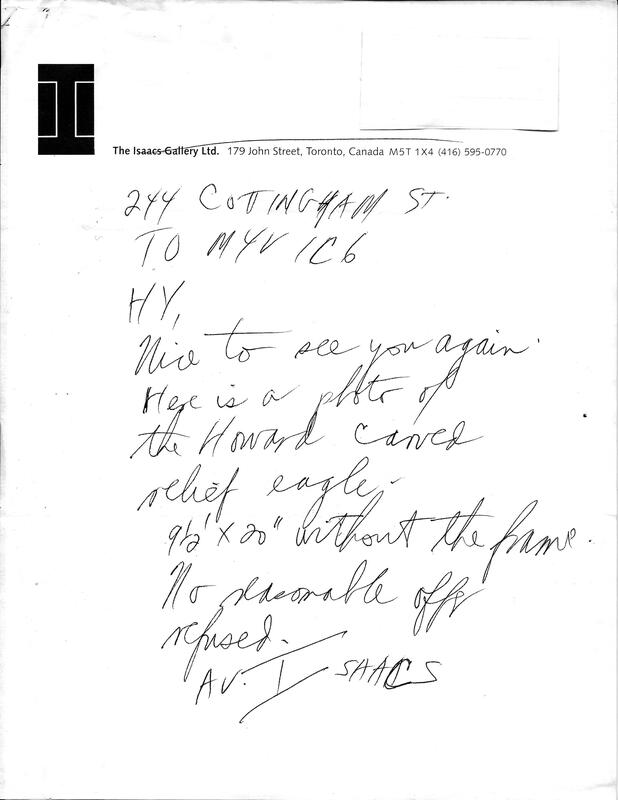 Then at one of the Bowmanville shows in the late 1990’s, Toronto art dealer Av Issacs and I were talking about Sid, and he said “you know, I have a Sid Howard piece that I bought years ago, that I could part with. “ Of course I was interested, and so true to word, the next week I received from Av, a photo and come on letter. “No reasonable offer refused”. Ya right Av, I’ve known you for too many years to fall for that. On the phone the next day when we set up the appointment Av said “You are going to love this piece. It’s so strong. Actually, I’m not sure if I should even be selling it.” I could feel the price rising. I felt “cool” going into his rented digs in that old factory full of artists on Richmond Street. I’m not sure that it hasn’t been made into up-scale condos by now, but at the time it had a real scene living there. Av had closed the gallery and retired, but rented this for storage and an office space. On the way in you could see that the young artists loved him. We reached his space, unlocked the door, and there was the Sid Howard sitting on an easel in the light of the north facing window. What a knock out. Av was right. I didn’t even try to play it cool, or barter. Av was far too seasoned and would spot it right away anyway, so I just said “You’re right Av, it’s amazing. I want it. So how much do I have to pay for it, bottom line. Prix d’ami. I always try the Quebec term prix d’ami, or “friend’s price” because it puts a friendly, positive spin on it. Av’s price was by no means a giveaway, but it was fair and so I counted out the cash. I brought it home and Jeanine loved it, so we hung it in the dining room, and there it remains. After concluding our business, Av and I were looking around at some of his things under the pretense that there might be something else I would like, so I asked him. “you wouldn’t have any William Kurelek drawings or paintings laying around that you want to get rid of at a cheap price?” Av smiled, “well no, I’ve sold every painting and drawing that I had for sale, but I could sell you this.” He went over to a storage rack and pulled out a fairly large plywood packing crate. He flipped it around and on the back was quite a beautiful pencil drawing of a western village. Along with an elaborate colorful frame around the name and address area. 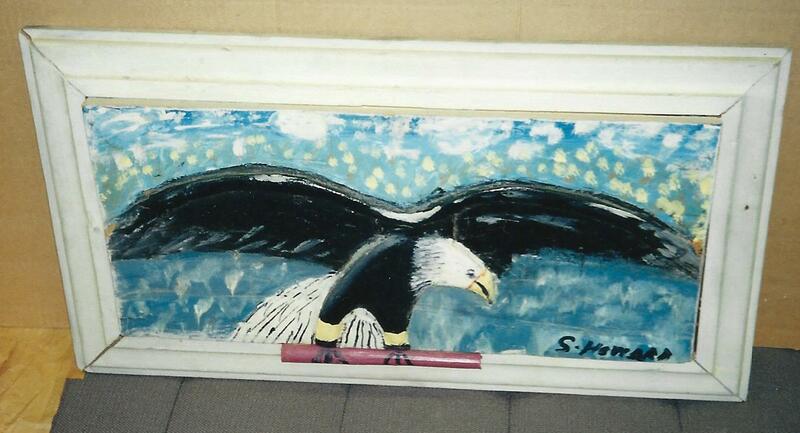 “He sent me some paintings in this case from out West, and he took the time to make it beautiful.” Wow. Simply wow. Of course even Av’s friend price was way more than I could afford. But I still think about it once in a while. 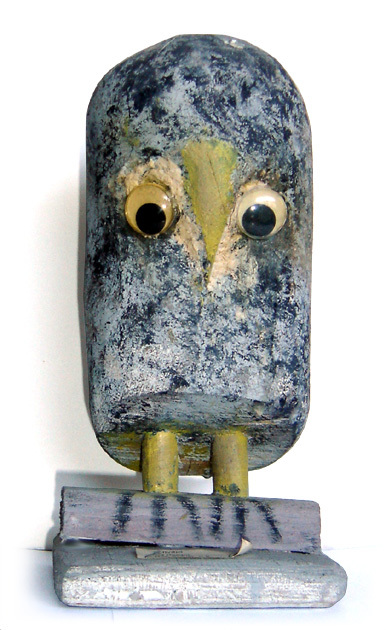 And I still love looking at the Sid Howard eagle.